Quite a few people have asked me about the name I have chosen for my company and its reference to that beautiful stretch of Italian coast south of Rome, known as ‘The Amalfi Coast’. Unbelievably, I have never been there (but there are plans afoot to remedy that!). My inspiration came in part from a picture which hung on our kitchen wall when I was growing up. 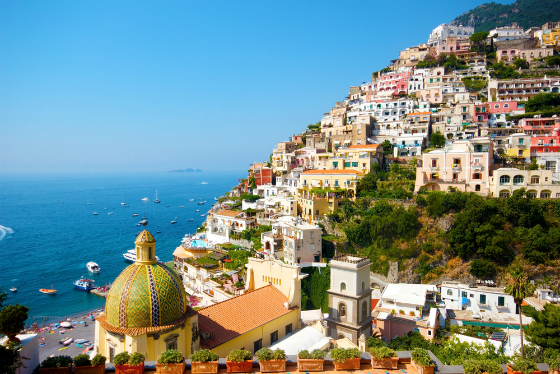 It showed Positano on The Amalfi Coast with its icecream coloured houses tumbling down the steep slopes of a bay towards an azure sea. It always enchanted me, even more so when my mother told stories of a holiday she took there with my grandmother in the early 60’s which conjured up glamorous images of a world as captured by the iconic photographer Slim Aarons.